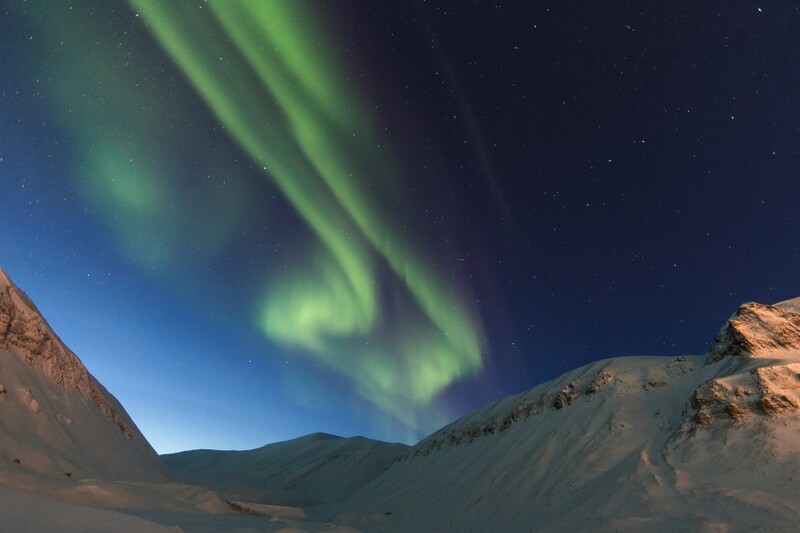 Thanks to the location of Svalbard in the high Arctic, the conditions are ideal for spotting the Aurora Borealis. 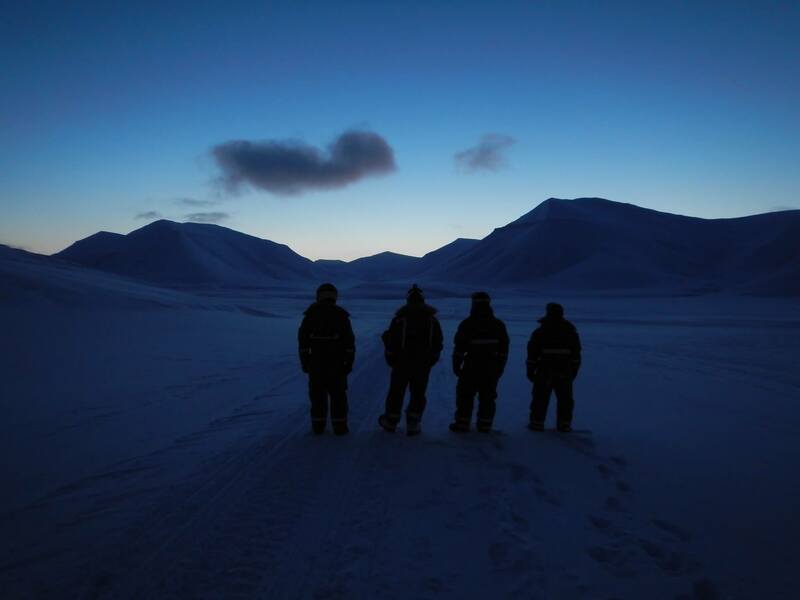 Our competent snowmobile guides know the best places for watching this natural phenomenon. To enjoy this magical experience to its fullest, we will have a delicious dinner in our cosy gamme. This is an “open destination” trip which means that our guide will use his/her experience and local knowledge to find the ultimate route and destination to see clear skies and experiencing beautiful views. 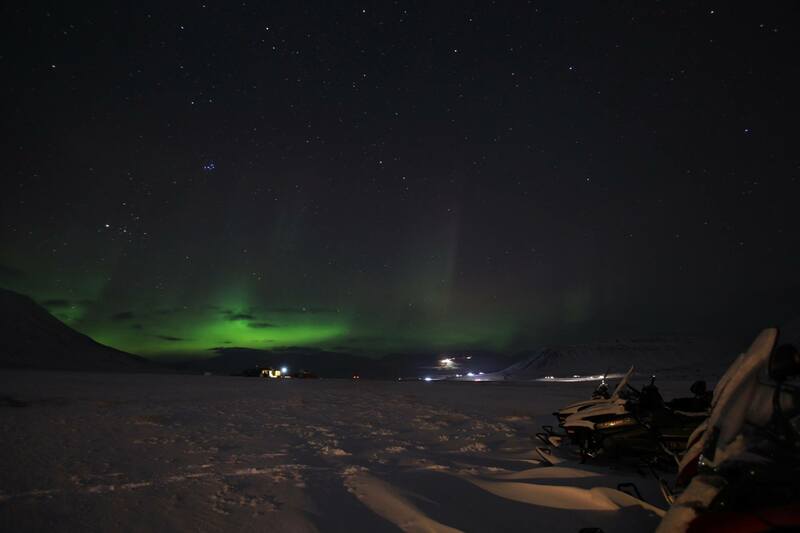 On this snowmobile trip, we will go that extra mile to give you an exclusive Northern Lights experience. 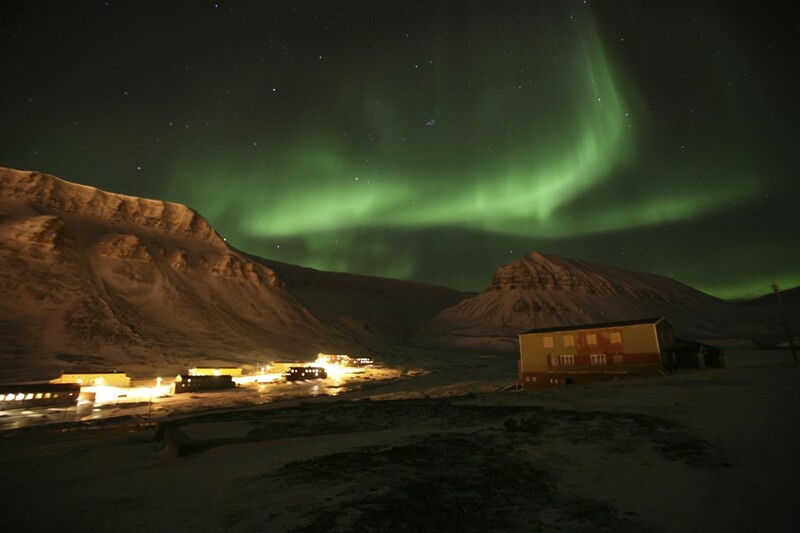 We will leave Longyearbyen behind, so that we avoid any light pollution in the sky. 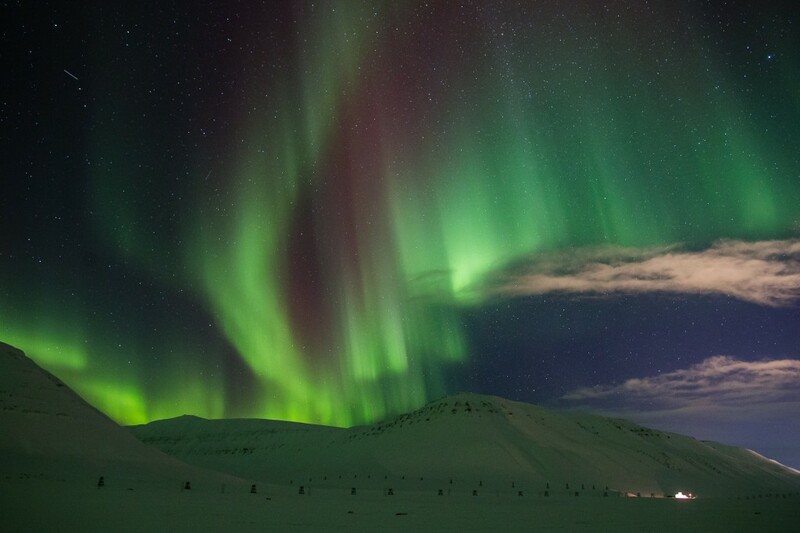 We will drive up on glaciers or into untouched snowy valleys searching for the magical dancing of the Aurora Borealis. On our way, we will pass our gamme, a traditional Sami hut. 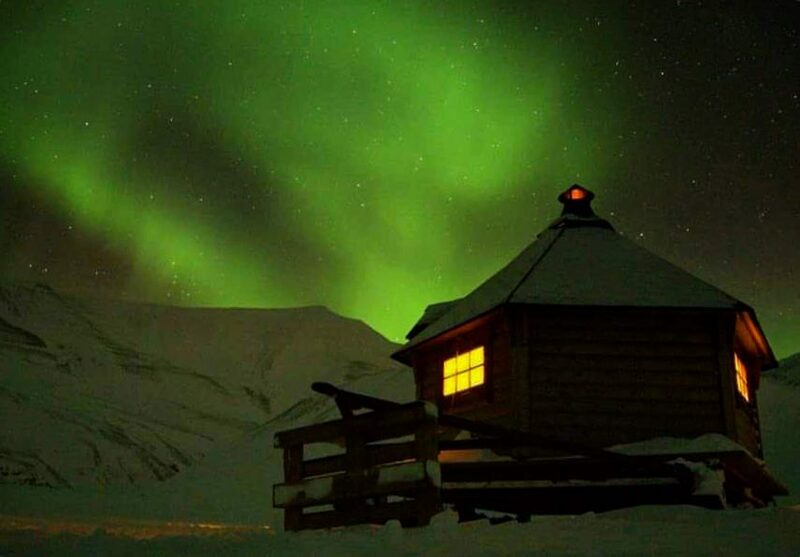 Here, we will enjoy a 3-course dinner as we warm up by the fireplace, always on guard in case the Aurora Borealis shows itself.